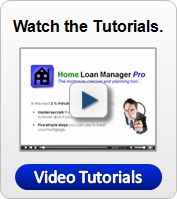 Home Loan Manager - Why Do I Need It? Tell us how much to repay, and how often. Track and manage our repayments. 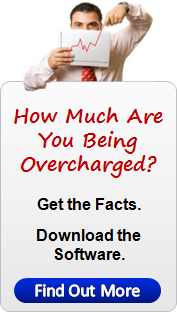 Calculate our interest charges and fees. But what if they get it wrong? 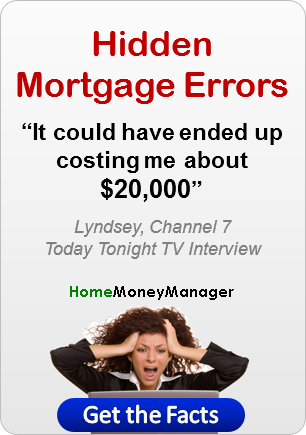 We all make mistakes, and your lender is no exception. A simple human error or computer glitch can add thousands in interest to your mortgage if left undetected. And, what if their repayment schedule isn't right for you? Lenders like you to pay off your mortgage over the full term, however cutting just a few years off your loan can save you thousands in interest charges. It's never too late to review your mortgage and start planning for the future. Since 2004, we've helped thousands of homeowners take control of their mortgages and loans, and protect the thousands they pay in interest each year from lender mistakes. 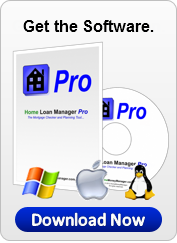 Download and install this mortgage software now, enter your mortgage statement details, and within minutes you can start monitoring, checking and planning your loans. Few of us are mortgage experts, so we have to rely on our lenders to show us how to manage and repay our debt. We let them calculate our repayment schedules and tell us how much to repay, how often, and for how long. We let their staff track and manage our repayments, and their computer systems calculate how much interest and fees we should pay. With so much at stake, have you ever stopped to check that what your lender is doing is correct? Leading publications around the world, including Money Magazine, The Wall Street Journal, The Sydney Morning Herald, Forbes, Newsweek, The Australian Financial Review, CNN, Kiplinger's, have featured articles warning consumers of miscalculations in their mortgages and loans. As a quick example, all it takes is the simple mix up with interest rates where you are charged 7.69% instead of 6.79%, and on a $200,000 mortgage you would incur an additional $43,927 in interest charges. That's $43,927 of your money that will go to your lender over a 30-year period, or put another way, that's $43,927 that you could have invested or used in much better ways. Hopefully you would notice $43,927 in extra charges! Unfortunately most homeowners don't. The problem is that the difference between the wrong monthly repayment amount (of 1424.54) and the right repayment (of 1302.53) is fairly small (only 122.02 a month). And I don't know about you, but off the top of my head I wouldn't know if my repayments should be 1000, 1500 or 2000 a month, so 1424.54 doesn't set off any alarm bells. Therefore, most borrowers just keep paying what their lenders tell them to, without even knowing they are being overcharged. And the worrying thing about this? It could be happening to you right now. Home Loan Manager Pro will check your statements at the click of a button. You can check interest calculations, transaction to balance totals, view your daily interest charges and much more. Did you know if you follow your lender's repayment schedule you will repay between 2 to 3 times what you originally borrowed before paying off your loan (based on a 7.5% 30-year loan)?. It will also take you approximately 22 years to pay off the first HALF of an average 30-year mortgage. However, if you were to increase the repayments on a 200,000 mortgage by as little as $45 a month, you could cut over $37,000 of interest payments and cut over 3 years off the loan. $10 extra a week, could save you over $37,000 in interest charges. And you will be mortgage free 3 years earlier, so that's 36 monthly repayments you won't have to pay to your lender and you could invest or spend how you want. Load your statements into Home Loan Manager Pro and you will be able to see how much you can save. As your circumstances change, making informed decisions is the key to staying in control of your mortgage and loans. Often referred to 'what-if' type analysis, it is important to know "what" impact you will have on your mortgage and loans "if" something changes. If interest rates go up by 1.00%, what will happen to your repayments? If you withdraw 5,000 for a holiday, what will it cost you over the life of your loan? If you deposit a lump sum, or use an offset account what will you save? What would it take if you want to cut 5 years of your mortgage? With Home Loan Manager Pro you will be able to accurately calculate the effect each of these "what-if" scenarios, and the effect they will have on the term of your mortgage and loans. Every time you want to save or spend money, you will be able to make informed decisions based on facts. Then you can decide what is the best outcome for you. Your statements contain a wealth of information about your mortgage and loans. Unfortunately most of us just have a quick look at the outstanding balance, see that we still owe a small fortune, and file them away. By grouping and categorizing the transactions on your statements, you can get a very accurate picture of what your loans are costing you. 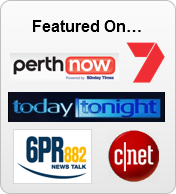 You can instantly see the total interest you are paying, total fees, additional repayments you have made, and so on. Knowing the cost of your loans is also the first step to cutting years off your loans. Until you can see what you are currently paying you won't be able to decide how much extra you can comfortably afford to repay. Once you start making additional repayments, comparing summaries from statement to statement, and from year to year is a great way to track your progress and see the impact you are having. Just load your transaction into Home Loan Manager Pro you can assign categories to them (from our default list, or set up your own), and the summary reports will instantly let you see the true cost of your mortgage and loans, and help you track your repayment progress. For most of us our mortgage is the single biggest financial decision we will ever make. It is therefore vital that you maintain accurate records and track all changes including deposits, interest repayments, fees charged, and so on. The more information you can tack about your mortgage and loans, the more information you will have at your disposal, and the more accurately you can make decisions. Home Loan Manager Pro lets you track all the information for each loan, including statements, transactions, balances and interest rate changes. Stored in one convenient location, you have instant access to all your loan details at the click of a button.